My mom loves three milk cake and is always on the hunt for a new recipe to try. Tartine is an insanely delicious bakery in San Francisco (as you can see we have the cookbook). 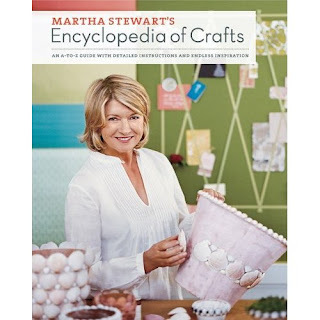 Mom - here is the Google Books result showing the recipe (you can find the entire book on Google Books). It is much easier for me to link it this way than to scan it or retype it. Enjoy! Discovered during a free lunch in graduate school, the avocado, cheddar, and roast beef sandwich on toasted honey wheat is the best sandwich in the world. Notice the ratios - I like a lot of avocado. The first food I ever made for my fiance was this sandwich on the 5th day of knowing each other. I have always loved the Christmas Cactus plant. I grew up with one in my room. In college I even bought one for Benji which he named Little Aliche (Ben - is that plant still around?). Anyway, I have had this Christmas Cactus for about 5 years... and this winter for the first time in its life - it has buds!! So happy! Check them out above. I'm a proud plant parent. In the past 2 months, we have received some AWESOME cookbooks (wedding, Christmas, and birthday gifts). My goal is to make at least one recipe from each book in the next year. With some books, this will be easy to do - others it will be harder (hello - pastries from Tartine!). After I took this photo, I realized two books were in the kitchen and missed their cameo! Christina got us this really fun San Francisco cookbook - perfect because I would love to learn how to make more California dishes. 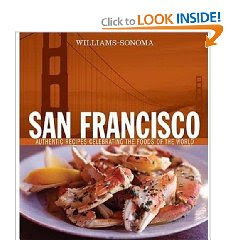 I think I may attempt a dungeness crab dish! 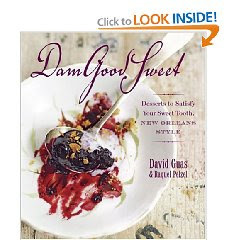 Katie got us this book a few months ago - New Orleans desserts! There is this recipe I am already dying to make - Chocolate Cupped Cakes. 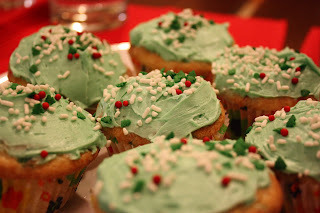 They look like cupcakes, but they are cooked in mugs. The result is very cute. 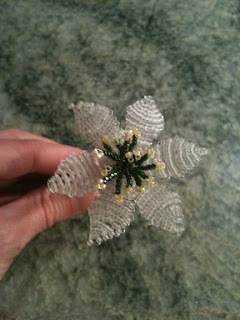 This weekend we finally tacked some of the projects on our to-do list. My fiance cleaned the part of our basement which sort of flooded in last week's rain and I got around to hanging some photo frames. For the past year or so, we had had these two framed posters propped up on top of our piano waiting to be hung. They were pretty nice - black and white posters from Ikea and frames from Michael's. However, last month when we were in New Orleans, we stopped by the Art Mart at Palmer Park and picked up some cool frames from Laville Frames. The frames are made from recycled wood. This weekend I hung the four new Laville frames with two small gold frames picked up at a coffee shop. I like the new look - definitely an improvement! Now I just have to print photos to put in the frames. I am thinking black and white photos would look nice. Whooo hoooo! Big time win - first super bowl in the history of the Saints (since 1967)! New Orleans has been transformed into Who Dat Nation! My mom got this awesome LSU snuggie from her secret santa, my cousin Coogan. Since my birthday is right after Christmas, I requested a regift of this awesome snuggie - winning the sibling fight for ownership of the snuggie. Maybe I should get a Who Dat snuggie to show more Louisiana love! On Wednesday night I decided to cook a decent meal. 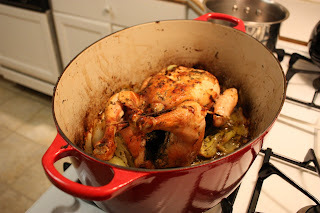 We had eaten this amazing roasted chicken with fennel dish with Ross and Abby a few weeks back - so I thought that it would be great to make it (they kindly sent the recipe over). Ross and Abby are great cooks and always find interesting recipes to try. Up until that dinner with Ross and Abby, I wasn't that fond of fennel. We had tried to cook it a few times and it was always underwhelming. This recipe is so delicious and so easy. 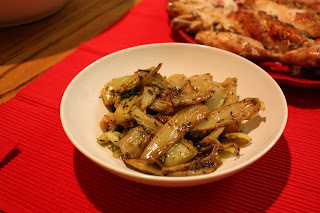 The fennel comes out with all kinds of wonderful caramelized flavor. You can taste the spices (5! 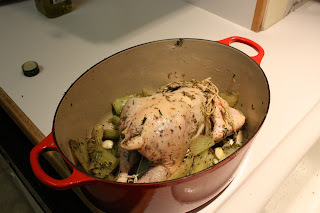 ), garlic (10 cloves), lemon juice, and white wine. Check out how good this fennel looks. 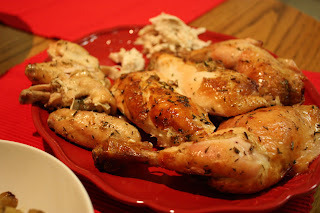 The chicken itself was flavorful and juicy. We will probably turn the leftovers into pot pie. Recipe highly recommended! Let me know if you try it! p.s. thanks to my future father-in-law (my secret santa) for the red serving dish I got for Christmas! Looks pretty good piled high with chicken. Google created a widget to help find both H1N1 and seasonal flu vaccines near you. I recently used it to find H1N1 vaccines in Santa Clara County and it worked like a charm. Check it out at www.flu.gov or www.google.com/flushot - no excuses! I spent most of my three day weekend organizing the addresses for our wedding (invites will go out soon). Basically I had to figure out what would go on both the inner and the outer envelopes of the wedding invitations. To get a feel for the numbers, check out this shoe box that we used to hold our addressed save the date cards. Most of the weekend was spent with this book propped open on my lap in front of the computer - The Crane Blue Book of Stationary (online version available at crane.com). 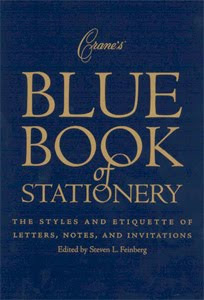 It is by far the most useful book when trying to figure out how to address envelopes to wedding guests. It is the absolute best book for that kind of thing - blows Emily Post's wedding etiquette book out of the water when it comes to stationary. Seriously. From Kings' Day (January 6th) through Mardi Gras you can buy king cakes in New Orleans. Since my birthday falls within this window, every year I had a king cake for my birthday cake. Even though I no longer live in Louisiana, my mom still sends me a cake around my birthday (she's the best)! The cake arrived via fedex on Friday and it has been a delicious treat for breakfast and dessert. On Saturday, I had a piece while watching the Saints game - and I got the baby! Since baby Daniela was born during this time as well, I look forward to making her king cake birthday cakes too. Thanks for making my week in hotlanta! Kevin always seems to find the coolest NYT graphics. Sharing a few here. 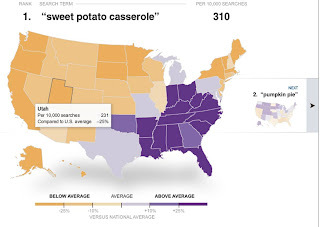 Love the distribution of Thanksgiving dishes in the southeast! Also, my fiance and I have seen most of the top 10 movies in the Bay Area... which is funny considering we don't watch that many movies. 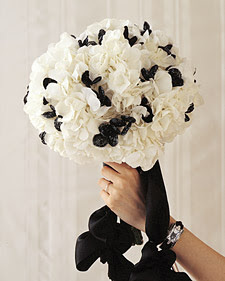 Now that we are getting closer to the big day - I am going to try to post updates on the wedding planning on Wednesdays. This week I thought I would write about our invitations. While I would like to keep the overall details of the invitation a surprise for when it arrives in the mailbox, I thought I would write about our wonderful calligrapher Brenda Griffin. She has been a pleasure to work with and does insanely beautiful calligraphy. Here is a teaser from our return address. Gorgeous right?! She comes highly recommended from me. So excited to see the final product in print! Our stationer Dement Printing (also in Mississippi) is going to be able to pull parts of the invitation (like our names) and use them on our other social stationary (like our thank you cards). I love paper products! I never updated you on what I ate on New Year's day - canned black eyed peas with sandwich ham, and wilted shredded cabbage with fennel seeds. 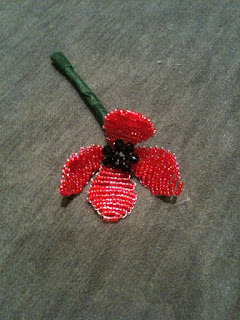 We did something quick as we got back from Yosemite pretty late to start something elaborate. I must say that this meal was delicious - the cabbage dish was particularly good (an item I usually hate). My fiance just put bagged, pre-shredded cabbage in a pan on the stove top with a little water and fennel seed - simple! A surprise dinner at Mas (Farmhouse) - still one of the best meals I have ever had in my life! It was 10 courses with wine pairings! This video captures one of my favorite moments from Christmas. This year I got my sweet niece Cecilia a huge pack of crayons and a Maryland t-shirt. She seemed very interested in the crayons, and when I went to remind her that there was also a t-shirt, she got flustered that I had interrupted her evaluation of her other gift. Momma and baby Daniela are resting and doing great! Today's the day! My fiance and I will welcome a new baby niece into the world today! Congratulations to the new parents! Very cool videos featuring the advantages of using Google Chrome (again mom and dad looking at you). This year, my fiance and I spent New Year's Eve in Yosemite. I had never been before and it was one of my 2009 goals to get there. We drove up on Thursday morning and were back in the Bay Area on Friday night. We stayed in Curry Village in a tent cabin (with heat) and it was awesome. Here are some of my favorite pictures. It was beautiful! I highly recommend Yosemite in the winter. Happy New Year! I can't believe it is already 2010 - Y2K seems like just yesterday! Every year on New Year's day my family eats ham, cabbage, and back eyed peas for good luck and prosperity. (I tried to figure out why and this post was the closest I got to an explanation). Here is the spread from last year - black eyed pea casserole (cheese makes everything better), sautéed cabbage, and spiral cut ham with a mustard glaze. So I haven't given this year's menu much thought yet. I am constantly on the hunt for recipes where cabbage tastes good (I just don't like it very much)! These recipes for black eyed peas with ham and braised cabbage look pretty good. Anyone have any suggestions? I think I am good for the ham, but am always looking for new ways to prepare these ingredients!